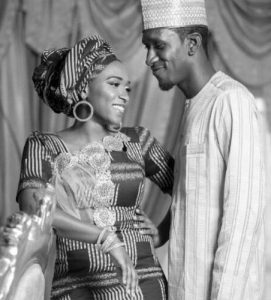 An Abuja high court has remanded in Suleja prison Maryam Sanda, who allegedly killed her husband, Bilyaminu Haliru. The late Haliru was the son of Alhaji Bello Haliru, former National Chairman of the Peoples Democratic Party (PDP). The presiding Judge, Justice Yusuf Halilu, adjourned the matter until Dec. 7 after the defendant’s arraignment. The Prosecuting Counsel, Mr James Idachaba, had prayed the court to adjourn the matter to enable the filing of an amended charge, following the emergence of new facts. The Police had earlier filed a two-count charge against the defendant bordering on culpable homicide, punishable with death. However, the Defence Counsel, Mr Hussein Musa, did not oppose the adjournment but argued that his client be admitted to bail or be remanded in police custody, pending the determination of the substantive matter. Musa hinged his argument on the fact that his client is a nursing mother with a six-month-old baby. He argued that sending a nursing mother to prison when a prima facie had yet to be established against the defendant could be injustice. Sanda allegedly killed Haliru on Nov. 19 with multiple stabbing at the back and genital area, which reportedly led to his death.